Dr. Dominic Chan founded Decisive Consulting Limited, a management consulting firm, and co-founded Dark Horse Investment that focuses on early stage technology investment. Worked as a consultant with the global consulting firm McKinsey & Company, Dr. Chan was also the former co-CEO of a-connect (China), a professional consulting staffing firm and China general manager of Englishtown.com (an EF Group company) providing online language training service. As a serial entrepreneur, he has been involved in technology companies in the Digital Signal Processing (DSP) application, integrated communication, mobile device applications, e-commerce solution and e-learning areas. Dr. Chan is a frequent speaker at conferences, business seminars and university lectures. He is also a corporate trainer, executive coach and visiting lecturer. He is the recipient of the Queen’s Gold Medal for mathematics presented by Queen Elizabeth II. Dr. Chan studied engineering at the University of Cambridge, United Kingdom, graduated with BA, MA and PhD (Digital Signal Processing) degrees. Dr. Chan is the author of the book My Cambridge Days. He is fluent in English, Mandarin and Cantonese, and speaks basic French and Japanese. 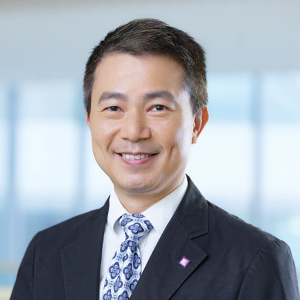 Dr. Chan is also an Associate Professor in Practice, Department of Decision Sciences and Managerial Economics, and the Associate Director, EMBA Programme.